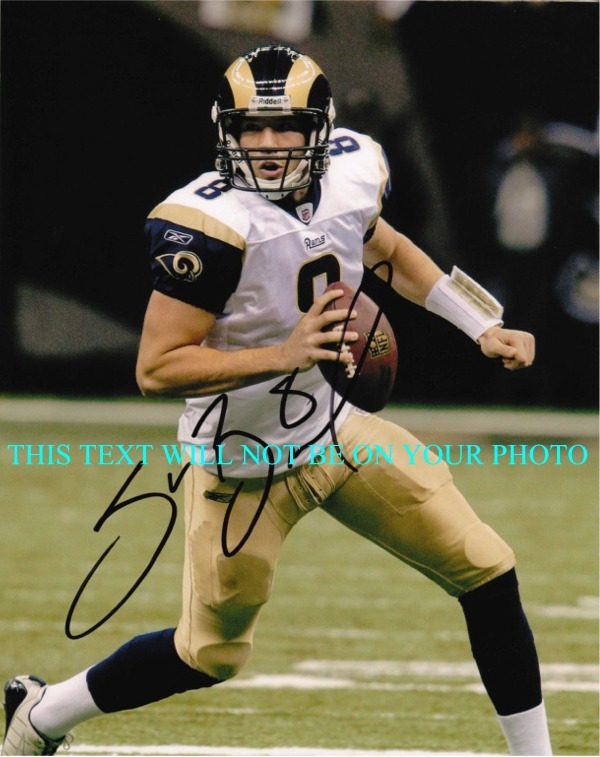 Excellent professional reproduction autographed picture of SAM BRADFORD. This professionally printed photo is of fantastic quality, cannot tell it apart from the original, high clarity and comes in a clear firm photo protector, you won't even need to frame it. Autograph is preprinted within the glossy 8x10 and shipped very secure, waterproof with a clear firm plastic photo protector and includes a certificate and guarantee. Makes a great gift. Price includes shipping. THIS TEXT WILL NOT BE ON YOUR PHOTO text will not be on the photo you receive.